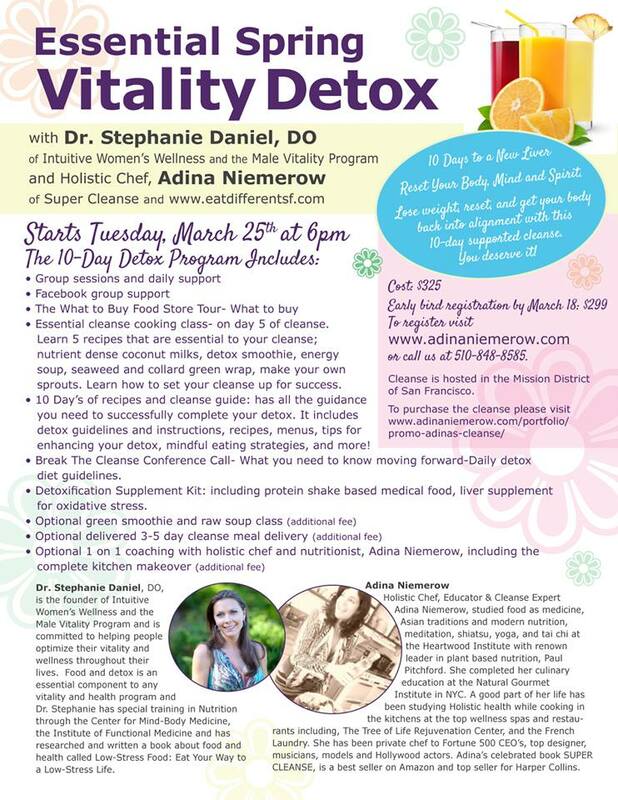 Detox with the best - Next Tues, March 25th! Most of us aren't overly nice to our LIVERS. Our social lives, toxic cities, mass produced food, and chemical additives get stored in our precious filtration organs. This isn't a problem until you're trying to get pregnant, want clear skin, want your systems to work together, or want decent energy. Then this whole full liver thing is a problem. On top of all that, most of the detoxes on the market only handle half of the problem. They help the liver release the toxins back into the blood stream but don't make it water soluable so that you can get it out of the body. Cue the wonder team of famous nutritionists and best selling author Adina Niemerow and Hormone balancing, integrative medicine, holisitic nutrition and fertility specialist, Dr. Stephanie Daniel who are hosting a DETOX that does both. Join us for the DETOX to get clean together!! Older PostSupporting each other heals us.